Can you spot which finger has the Nails inc. White horse polish on amongst the Whitehall polish? 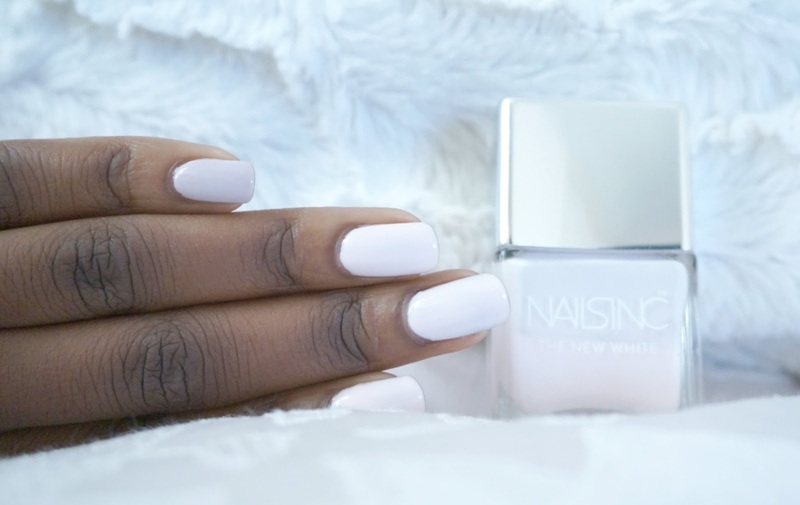 This week I am wearing Nails inc. Whitehall from the 'The new white' collection by Nails inc. 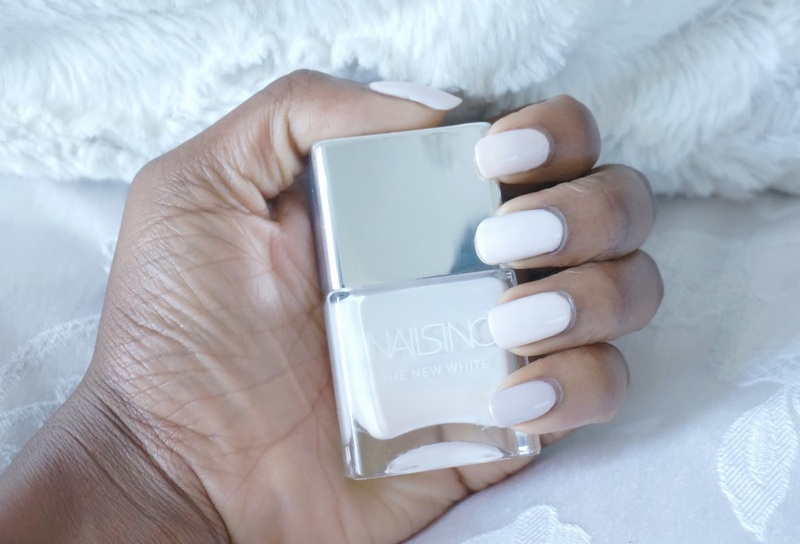 I have had Nails inc Whitehall for quite some time now and so it was only about time that I shared a picture of me wearing it with you guys. It is one of my favourite shades at the moment and I wore it quite a bit over the summer that I am now half way through the bottle. The Nails inc. Whitehall polish is very reminiscent of the Nails Inc. Victoria Beckham Bamboo white, it is a light off pink shade much like the Bamboo white nail polish. 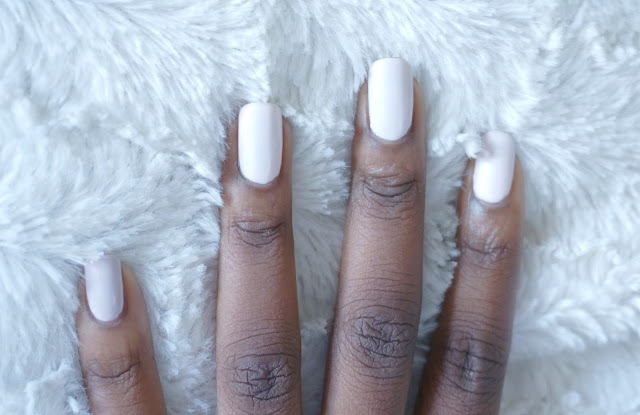 The similarity between the two shades is unbelievable so much so that I almost convinced that it is the same Bamboo white polish mixture that has been poured into in different packaged bottle to be sold as the Whitehall polish. 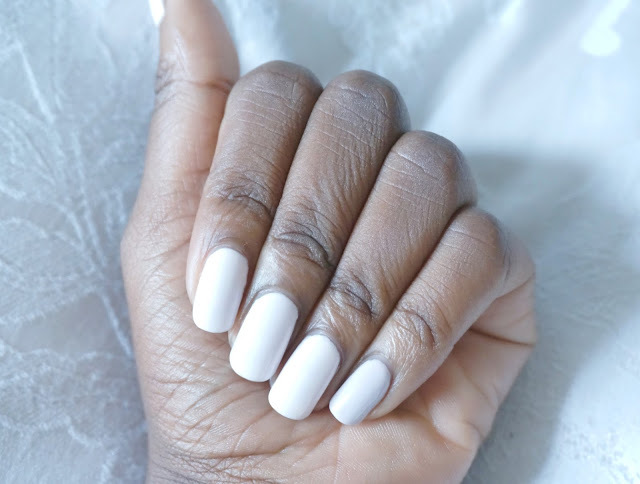 Over the past few months the Nails inc. Whitehall polish has become my go to shade in favour of a complete white polish as I find it to be a bit more subtle in colour and less in your face with my skin complexion. I can most definitely see myself working my way though the entire white collection over time. I did sample the White horse polish on my little finger. 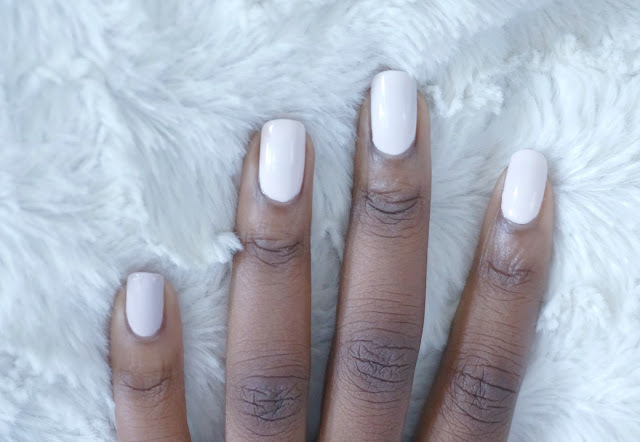 As you can see in the pictures above, it is a slightly more darker shade than the Whitehall polish with a hint of lilac as opposed to pink when compared to the Whitehall shade. Did you spot the difference on the first glance?